MACHIAS — Five teen leaders from University of Maine Cooperative Extension Washington County 4-H are gearing up to have a big impact in the greater Machias area. 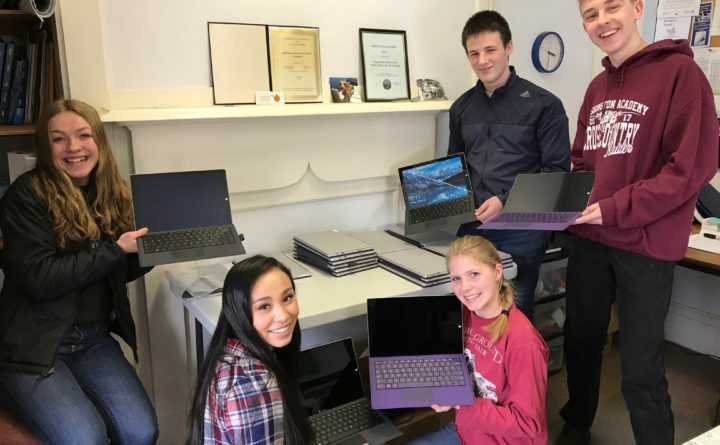 With support from the National 4-H Council and Microsoft Philanthropies, 4-H Tech Changemakers are committed to bringing about positive change in their local communities by leveraging the power of technology to tackle the issue of food insecurity. The project is part of a new national partnership that equips young people with the digital skills and resources they need to make a positive impact in their communities. 4-H Tech Changemakers places young people at the center of community improvement. Microsoft’s TechSpark program, launched in 2017 and focused on accelerating economic growth through regional internet connectivity, digital and career skills development, nonprofit support, and digital business transformation. The 4-H team is now recruiting peers and volunteers to participate in the project. In coming months, the teen leaders will work with local organizations, community members and elected officials in their commitment to making a lasting positive impact. Machias area residents interested in getting involved or learning more are encouraged to contact the UMaine Extension office in Machias, 207.255.3345, or email Jen Lobley,jennifer.lobley@maine.edu. About University of Maine Cooperative Extension: As a trusted resource for over 100 years, University of Maine Cooperative Extension has supported UMaine’s land and sea grant public education role by conducting community-driven, research-based programs in every Maine county. UMaineExtension helps support, sustain and grow the food-based economy. It is the only entity in our state that touches every aspect of the Maine Food System, where policy, research, production, processing, commerce, nutrition, and food security and safety are integral and interrelated. UMaine Extension also conducts the most successful out-of-school youth educational program in Maine through 4-H.